Did you know that growing the right kind of greenery can transform the look and feel of your property? Ornamental grasses are turning into a huge must-have for a lot of homeowners who are constantly trying to experiment with a different approach for their landscaping needs. Besides the usual choice of evergreen shrubs and flowering plants, it’s time to switch to better options. Ornamental plants give your home texture and color that can lift your mood and have a calming effect on you, making you the envy of the neighborhood. Rather than diving right in, make sure you plan things in advance for the desired result. Listed here are the best go-to options of ornamental grasses to brighten up your yard and help you kick-start your gardening venture like a pro. They are not grass, but grass-like plants that are typically available as ornamental grass in stores. These plants usually have parallel veins and narrow leaves – cat-tails, sedges, rushes – are common ornamental grass. They are used for their visual appeal and decorative contributions to the landscape. Ornamental grasses come with meager water and maintenance requirements; they even complement your yard and give it a polished appearance. These grasses can withstand diverse soil conditions and are tolerant to severe drought conditions. They blend pretty well with other shrubs and flowers in the yard, and can be used to set off any-size lawn areas. They work really well to perk up the winter landscape given their dormant foliage. You can double them as ground cover, mass plantations, edgings, or accents to complement the aesthetics of your outdoors. Homeowners are known to use them as the finishing touch for water features and naturalized gardens. Why people choose them over flowers? Unlike flowers and shrubs, ornamental grasses don’t need too much pampering – they are long-term investments and are born survivors. These breed of grasses come in myriad colors, textures, and bring a touch of finesse to the vast outdoors. Since they are easy-going and hassle-free plants, homeowners are rethinking their options of growing flowers. If you were to dig deep into Biology, ornamental grasses aren’t very different from lawn grass. They are also available in cool and warm season varieties; growth varies from spreading, which grow best in a meadow-like area; and clump-forming types, which grow in clumps increasing in girth with time. Ornamental grasses in the cool season start growing in spring, mellow down in summer, and keep growing during fall. The warm-season variety can resist drought conditions and a good percentage of their growth happens in the summer heat. Ornamental grasses can grow without supervision, pruning, or maintenance. They don’t need too much watering and grow well in very hot conditions. There are hardly any disease or pest threats to worry about. These plants can be tailored to fit anywhere in your yard depending on your preferences. Short varieties work well as borders for planting beds; large varieties can be used to add the illusion of height and cover empty spaces; they can also function as a marker to define space. Smaller varieties can grow well in containers. If you’re looking for good ground cover for your landscape, ornamental plants are a great fit. Conserving water a great deal is possible with ornamental grasses because they have low irrigation demands. Pesticides, which can be harmful for waterways, are not required to keep these plants healthy. They grow well on slopes; hardy varieties create the ideal habitat for wildlife and maintain the natural balance. Yes, they are grass, but you’ll find them in diverse varieties. They are available in colorful foliage of tan, purple, green, blue, red – the list is endless. Mixing different colors can bring visual appeal and create the perfect backdrop for your backyard. Most ornamental grasses are classified as perennials and live on for more than two years. Perennials bloom during springtime and turn dormant in fall and winter. They grow continuously in warm climates; in seasonal climates, their growth is pronounced only during the favorable seasons. Since their roots are well-protected deep inside the soil, perennials are known to be very tolerant to wildfire. 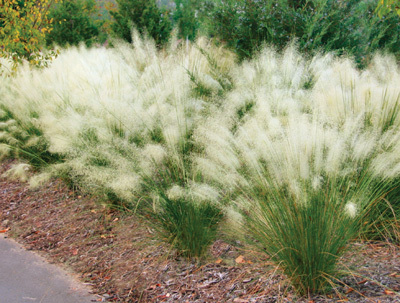 This variety of ornamental grass with its creamy, feather-like plumage is common to many landscapes. They are also available in shades of pink if that’s a color you’d prefer. They grow fast and easy, stand tall at 5 to 10 feet, and can be invasive. 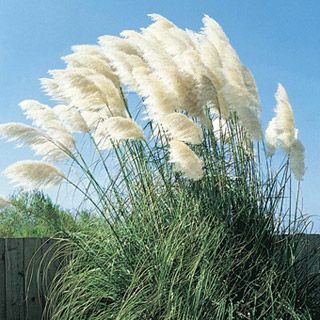 Pampas Grass needs plenty of room to grow with a space of 6 to 8 feet between them. They need the full sun and can grow fairly well in partial shade. Though it can be grown in just about any soil, this grass grows best in well-draining, moist soil. They are extremely tolerant to wind, drought conditions, and salt sprays – precisely why you’d find them along coastal regions. When fully grown, it needs minimal care with little watering in extreme drought-like conditions. It needs pruning annually that can be done in early spring or late winter. Make sure you’re wearing gloves and long-sleeved shirt while pruning because of its sharp foliage. Nourish them with a balanced fertilizer after pruning to help in regrowth. Pampas Grass is not ideal for cold regions. However, grow them in pots and keep them indoors during winter; replant outside in springtime. But because of their height, this is not recommended. In the USDA zones 7 to 11, Pampas Grass is hardy; you can also grow them in Zone 6. 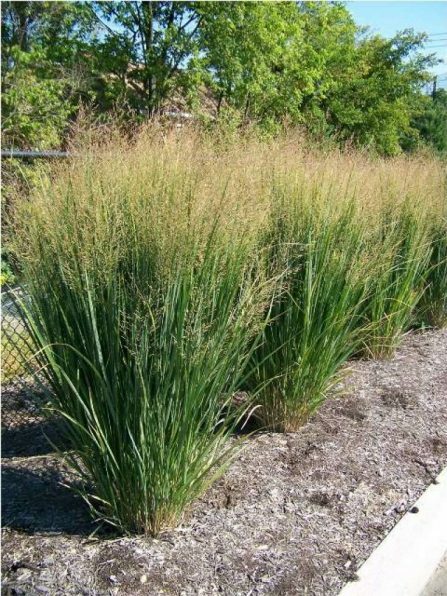 This no-fuss ornamental grass grows in just about any condition and is a perfect-fit as low-maintenance plant. They can be grown as borders, accents, rockeries, and even in containers and pots. You can plant Blue Fescue in clusters along a border or as accent to other perennials. Their contrasting colors are the ideal backdrop for wide, leafy plants. Since Blue Fescue is evergreen, they shed aging blades and grow deep blue leaves in springtime; during May-June, they grow tall flower-tipped stems. They need the full sun and moist, well-drained soil to grow to their full potential. Make sure the soil is not too heavy with clay, there’s ample organic mulch around the base, and there’s supplemental water in hot summer months. They grow best in hardiness zones 4 to 9. Like the name, this perennial looks like a fountain and that’s why the name “fountain grass.” This species is a favorite with most homeowners since they need minimal care while and livening up your yard. This grass is non-invasive, grown in clumps, and is suitable for many areas around the house like border plants or stand-alone specimen plants. Fountain Grass flowers are in shades of purple, pink, or tan; they grow from late summer right through fall. You’ll be stunned by the spectacular display of foliage all the way from fall till winter – definitely a treat to watch. 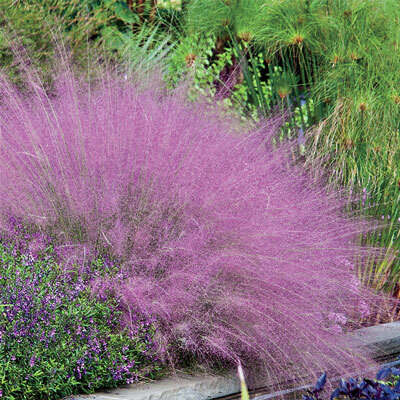 These color ornamental grass can grow from 12 inches to 3 feet tall. They are easily adaptable and require limited maintenance. Though Fountain Grass grows well in any kind of soil, they grow best in well-drained, fertile soil conditions. They don’t need regular watering, except in severe drought-like conditions. Since they prefer warm weather, they need the full sun and can put up with meager shady conditions. The warm-season varieties prosper in temperatures of 75 to 85 °F or 24 to 29 °C. Learn more about the ideal hardiness zone for your preferred choice of fountain grass on the USDA Hardiness Zone Map. 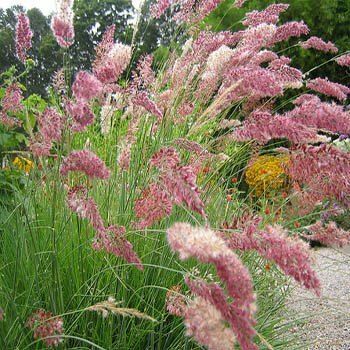 This clumping grass produces showy whitish-gray, feather-like plumage – pink and reddish flowering varieties are also available. The Japanese Silver Grass can be planted as a border or hedge, and they need to be planted 3 to 4 feet apart. You can also grow them as accents or specimens in the center of the flower bed or a large pot. 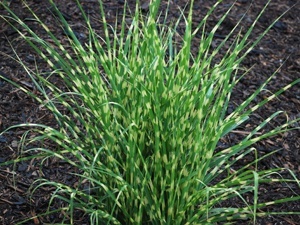 This species of ornamental grass grows to about 3 to 6 feet tall with coarse, thick foliage. The long, arching blades stay clumped. During fall they turn reddish in color and are indeed a quite the sight for sore eyes. Silver Grass isn’t fussy when it comes to soil – they grow really well in moist, fertile areas. They can be invasive in southern states – the seeds give way to seedlings. In the warm zones, it’s good to get rid of the flowers before the seeds form. Japanese Silver Grass needs the full sun, moist soil, and can withstand drought-like conditions once it’s fully established. Though they are perennials, the leaves turn dry and brown in color when they are dormant in winter. They are easy maintenance, and are usually pest- and disease-free plants with no special requirements. These plants are most suited to hardiness zones 5-9. 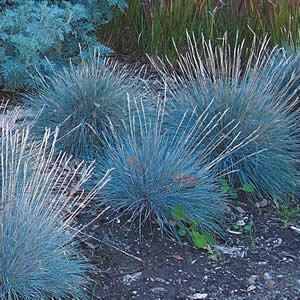 This ornamental grass is native to North America and is a warm-season plant bluish-green in color. In fall they turn a rust color with white seed heads. Growing Bluestem provides architectural appearance for flowering and broad-leaved plants. Little Bluestem grows up to 3 feet tall and a foot in girth. The color changes to a rusty shade of mahogany in fall; the clumps last throughout winter unless they are weighed down by snow. This breed of ornamental grass grows well in warm areas with dry, gritty soil. They are highly adaptable to fertile, well-drained soil, and are excellent erosion barriers. They are also grown as transition plants between forests and cultivated land and serve as forage for grazers and other animals. 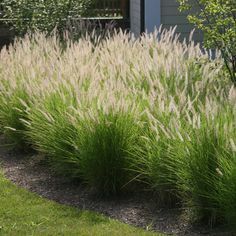 This ornamental grass is extremely adaptable and fits great for your home landscape if you keep its invasive nature in check. There are no threats in terms of pests and diseases, which makes it a worry-free investment. They need healthy watering during the establishment stages, but otherwise, they are self-sufficient plants; however, without moisture they tend to go dormant. 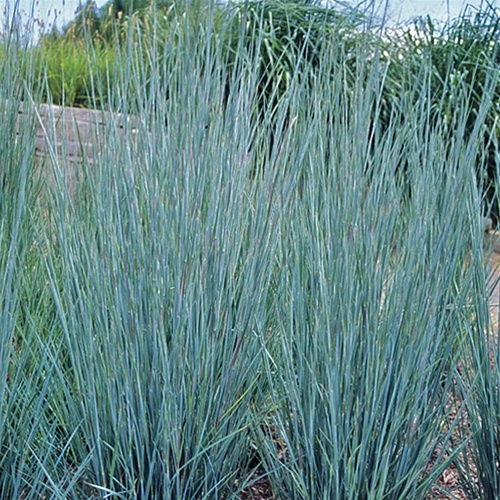 Little Bluestem are known to grow well in hardiness zones 3 to 9. This prairie grass with delicate, feathery flowers is common to the Midwest Prairies and the Savannas of Eastern United States. Switchgrass foliage is bluish-green in color; the flowering continues into fall bearing red seeds. They are tolerant to a variety of planting sites making them an ideal choice to beautify your landscape. They can grow up to 4 to 6 feet tall with a fine display of feathery plumage in late summer that might be purple or deep red in color. Considering they grow tall, planting them on the edges or rear of a garden bed will make sure they don’t cover smaller plants. It’s good to plant them in groups with at least 12 inches between each clump. Switchgrass can grow in full sun to partial shade and can tolerate short periods of drought-like conditions. They can be planted in dry or moderately moist soil, and thrive in clay, sandy, or loamy soil. Make sure the soil is well-drained and it isn’t overtly nutrient-rich. They are known to grow best in hardiness zones 5 to 9. This ornamental grass is native to Japan with a fine display of striped foliage. Though they are perennials, the foliage withers in cold weather leaving behind only a skeleton. They can grow up to 6 feet tall and work great as specimen plants. Zebra grass work well as hedges planted in groups, or you can grow them in pots and containers. Plant them in partial sun in moist soil conditions for the desired results; established grasses can resist short periods of drought-like conditions. Grow them 36 to 48 inches apart in spring when Zebra Grass is usually dormant. They are resistant to most diseases and pests and grow fantastic in hardiness zones 4 to 9. Native to Florida, Muhly Grass grows to about 3 to 4 feet tall and are usually found in clumps. Their pinkish-purple color and long, sharp foliage blades can grow to up to 3 feet in girth. They are highly drought-tolerant and can grow in any soil type as long as it drains well. You’ll find them in along highways, coastal dunes, and flat forests. Planting them in groups at least 2 feet apart can give you that terrific jaw-dropping effect. They are extremely easy maintenance and tolerate rocky soil conditions with full sun. Muhly Grass is known to resist flooding for short spurts of time. Grow them the brightest area of your yard and water them frequently while they are still young. Once they mature, they only need supplemental water during severe drought-like condition. The USDA hardiness zones for this beautiful ornamental grass is 7 to 11. Perennial ornamental grasses live on for several years, while the annual derivative will last only one season and dies after flowering. Annuals complete their lifecycle of germination to producing seeds within one year; summer annuals germinate during springtime or early summer and mature during fall. The winter annuals germinate in fall and reach maturity in spring or summer. They get their name from the burgundy-colored foliage, fuzzy blooms, and purplish seed heads. They look amazing in the yard or when grouped with other plants. 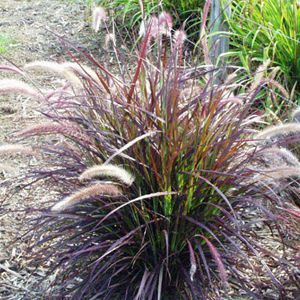 Purple Fountain Grass need minimal care and maintenance once established. Surviving cold winters is not on the charts for this perennial alternative, but they work well as annuals in cooler regions. To survive winter, grow them in containers and bring them indoors for overwintering. Keep it moist but not soggy, and water it only once a month. 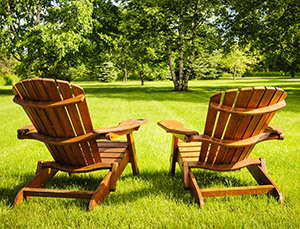 Once the freezing temperatures give way to spring, you can replace them in the sunny outdoors. You can grow them anytime, but spring is ideal since they need well-draining soil and the full sun. Mature plants can grow up to 4 feet tall and wide; they need plenty of room – place more plants 3 to 5 feet part. Since Purple Fountain Grass can tolerate drought-like conditions, watering them every week is adequate. The hardiness zone for this plant is 9; they might reappear in zones 7 to 8. This ornamental grass is a tender perennial and is best known for its culinary uses. Lemongrass grows well in hot seasons. 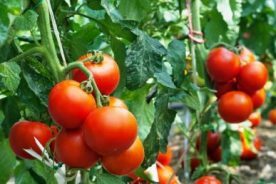 However, you can also grow them in mild winter conditions if you can maintain the temperatures consistently up to 40 °F or 4 °C. 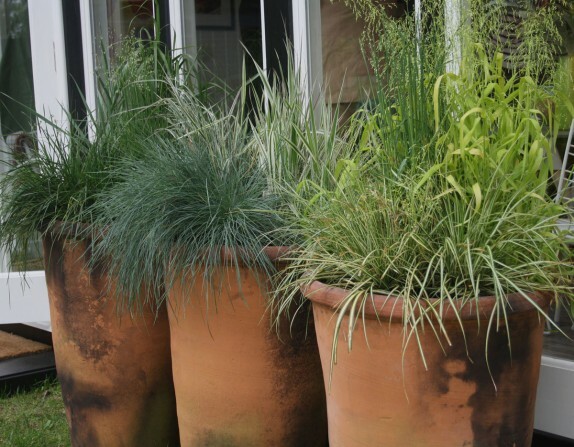 If you need to winterize lemongrass in the cold season, plant them in containers so you can easily move them indoors during winter. Commonly grown for its aromatic leaves that grow to 2 to 3 feet tall, lemongrass needs plenty of room to grow – one clump can grow to a 2-feet wide plant within a single growing season. When growing outdoors these plants need the full sun with sufficient water; take care not to over-water or they could be prone to root rot. Lemongrass needs fertilizers every two weeks in addition to an all-purpose liquid food. 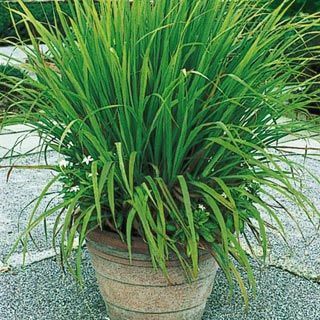 If you’re growing Lemongrass in a container, make sure there are ample drainage holes and the pot is filled with good-quality soil mix. Just before the first frost move them indoors to a bright area for winter care. Water them but cut back on the fertilizer until it’s time to take the plants outdoors in spring. The leaves can be stored fresh or dry but the tender interior need to be used when the flavor is at its best. Frozen derivatives will last for 4 to 6 months if stored correctly. Also known as “Pink Crystals,” Ruby grass is grown as an annual everywhere except in USDA zones 8 to 10. 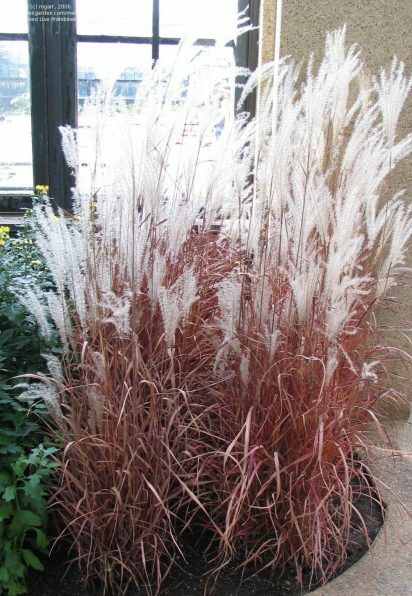 This ornamental grass produces beautiful pink foliage in summer that turns pearly white with age. Ruby Grass work well as a single specimen plant or borders; they can also be grown in containers paired with other annual plants. They need minimal care, thrive in full sun, and can tolerate dappled light to some extent. This plant needs regular watering, but can withstand meager periods of drought-like conditions. Ruby Grass clumps grow to about 2 feet wide and have minimal diseases to worry about. Though they have no consistent pest issues, if the foliage is wet and soggy in warm weather, these grasses can develop fungal diseases. Cut the grass in fall or late winter to give way to new foliage. These ornamental grasses, Ruby Grass can self-feed; it’s best to harvest the seeds during fall until it’s time to plant them in the outdoors. These plants are winter hardy to about 20 °F or -6 °C. Native to Japan, this ornamental grass has unruly foliage that grows out unbridled from a stem cluster. Corkscrew Rush has round blades that twist from the base right to the top. There are stripes on the dark green leaves as well making them showy. These grasses look great as edges along ponds and water features. Partially submerging them in shallow areas is also a possibility. These plants grow best in full sun provided it’s not scorching. In really hot areas, they grow well in partial shade. 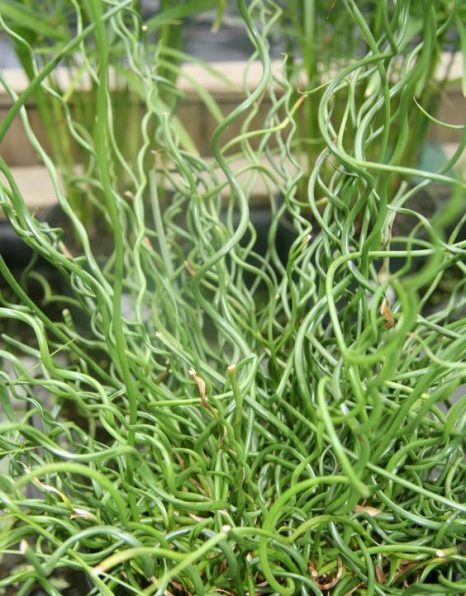 Corkscrew Rush grows well in any soil, like sand, loam, or mixed clay. However, they can’t survive in extremely dry soil conditions are not suited unless you can match it up with ample water supply. 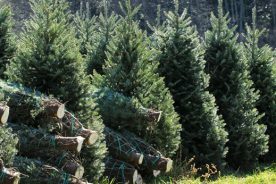 They are pest- and disease-resistant, but need pruning and an annual dose of fertilizer for maintenance. In the higher zones, Corkscrew Rush remains green throughout; they turn brown in colder areas. Cut the foliage back early on in spring to make way for new leaves. These plants can comfortably grow in hardiness zones 4 to 9. This species of ornamental grass is native to Spain and Portugal and is often grown for its delicate heads in forestry. They are also called Bent Grass in some places and usually flower during mid-summer. Cloud grass can grow up to 17 inches tall and grow flat green leaves and white flowers. They grow well on the soil surface when planted after the last spring frost with 8 to 10 inches between them. Cloud grass need the full sun but can tolerate partial shade. They grow well in well-drained soil and need at least 21 to 25 days to germinate. Flowers are whitish to pale pink and blossom completely in midsummer. Once fully grown they look like a morning mist, or as the name goes, like a cloud. If you plan to grow them indoors, it’s best to grow them 10-13 °C about 5-6 weeks before planting them outdoors in springtime or fall. Water them regularly if the soil is running dry. They work well as foreground plantings as borders. As clumps, you can grow them for ground cover, along driveways and walkways, and in corner areas of the yard. Plant them in rows for cutting purposes, or you can grow them in decorative groups for fresh or dried arrangements. They grow well in hardiness zones 3-9. Ornamental grasses grow best in the full sun. Though they can tolerate partial shade, the flowering will be stunted making the plants leggy. They grow in any type of soil and are not picky bloomers. Whether they soil is fertile or poor, ornamental grasses will grow. It’s recommended that you add compost to the soil to help with the overall vigor of the grass. Grow ornamental grasses at least 1-3 feet apart depending on its variety. If you need them like a wall, plant them closer. Plant these grasses in springtime so they establish before winter arrives. During fall, you can plant them in the warmer zones that don’t have harsh winters. Short mounding grasses grow only 1 foot tall and wide. The more spreading, taller varieties can grow to 7 feet or higher. Mostly, ornamental grasses grow between 1-6 feet tall and 1-3 feet in girth. Once established, ornamental grasses are tolerant to drought-like conditions; it’s advised that you water the young grass transplants frequently. 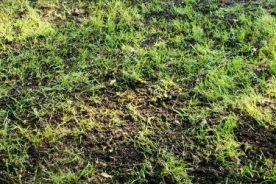 Make sure you choose the right type of grass suitable for your region. If you reside in drier areas, grasses that require more watering might not be a wise choice. Tall grasses with large flower heads growing in part shade are likely to have weak stems and flop over in windy conditions. Too much nitrogen-rich fertilizers give rise to tall, weak stems. Tying these tall grasses to stakes during summer will support them when they are heavy-laden with large flower heads. Let be the flower heads in winter or cut a few and bring them indoors to add to your flower arrangements. Ornamental grasses don’t need extra fertilizers. Just add 1 to 2 inches layer of compost every spring besides mixing in some post when planting. Add 2-3 inches of mulch in spring to help maintain soil moisture and prevent weeds from growing in between the grasses. Ornamental grasses offer a diverse palette of textures, colors, heights, and blooms in addition to being extremely versatile plants. Like the name implies, “ornamental” grasses are specifically chosen for their interesting decorative purposes. However, if you plan your landscape, they have more to them than what meets the eye. They look amazing as container gardens, accents, ground covers, screens, and screens. Unlike regular turf grass, you can let them grow wild if need be. They are easy to grow and maintain, and are known for their hardiness. Since they have good resistance to most diseases and pests, they fit perfectly well in your yard. What ornamental grass grows in shade? How do I prepare ornamental grass for winter? If the climate in your location is severe, the best way to preserve ornamental grasses is mulching them. Snow work as a great mulch alternative, but if that’s not happened yet, go with mulch. Compost or shredded leaves can feed the soil allowing oxygen to penetrate. Straw or hay work well too. When should I plant ornamental grass? 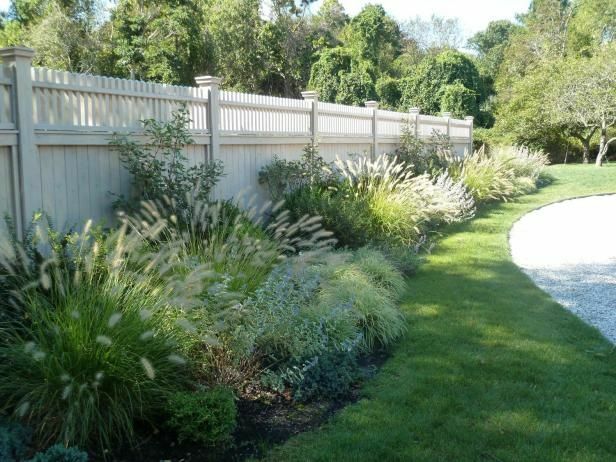 You can plant ornamental grasses anytime in mild climates. Areas where the ground freezes, spring and early fall are ideal for planting; however, avoid planting within the first four week after the first fall frost. What ornamental grass grows the tallest? Why is my ornamental grass dying? Cut back warm season grasses during fall or from mid to late spring. Cut back cool season grasses early on during spring. Divide warm season grasses during spring right through mid-summer. Divide cool season grasses in springtime or early on in fall. Divide evergreen grasses only in spring. How do I stop ornamental grass from spreading? Prune grasses each spring before new grows starts to appear to control their height. These are used to control highly invasive plants to prevent damage to adjacent landscape. Remove 4 – 6 inches of growth from the crown. Cut the grass in smaller sections together with the roots and replant.